When it comes to owning a home, it always seems like there are several projects going on at once, the to-do list never ends! I enjoy working around the house & getting my hands dirty, it's a great learning experience for me plus it saves me money since I don't have to hire a contractor to do the work for me. Spring is the perfect time of year to remodel, so I opened up the windows & got to work! I removed the old carpet in my master closet, it's a great size closet but I didn't know what I wanted to lay over the concentrate, so I went online to one of my favorite sites for my home & started browsing around! 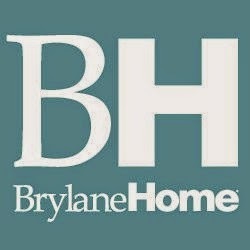 Brylane Home is a great website full of decor, furniture, appliances & more for your home! They offer a variety of styles & colors on items like bath towels, window curtains, laundry organizers & more, all at affordable prices! 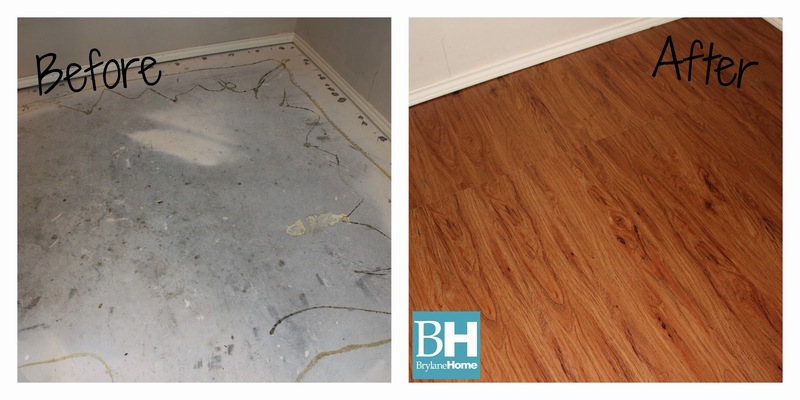 I love the flooring options that Brylane Home has to offer, I didn't want to lay down tile & I needed flooring that was easy enough to install myself but looked nice! So I decided on the Peel-And-Stick Wood-Look Plank Flooring, it's available in Medium Oak, Maple & Rustic Oak & contains 10 planks in each box. 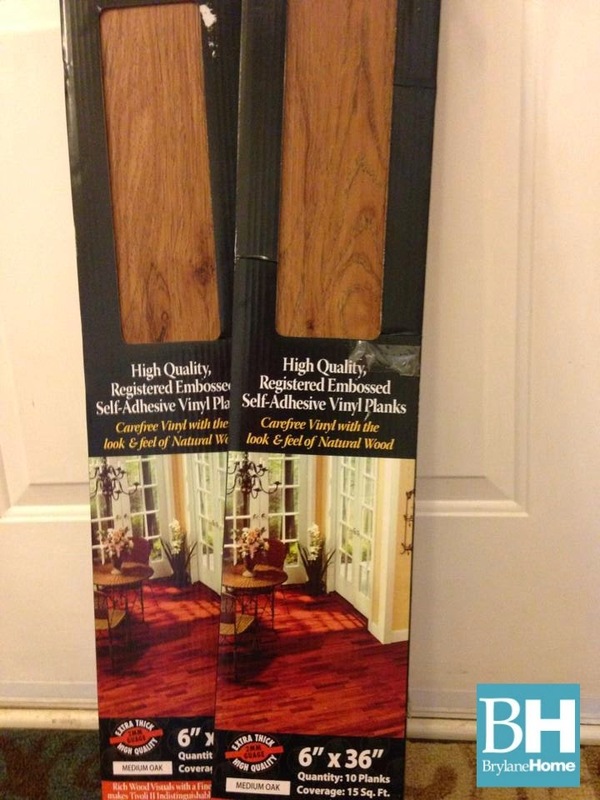 I chose the Medium Oak color, I thought that would look best in my master closet, these peel-and-stick planks are made from super durable vinyl & can be cleaned by sweeping, moping or vacuuming! 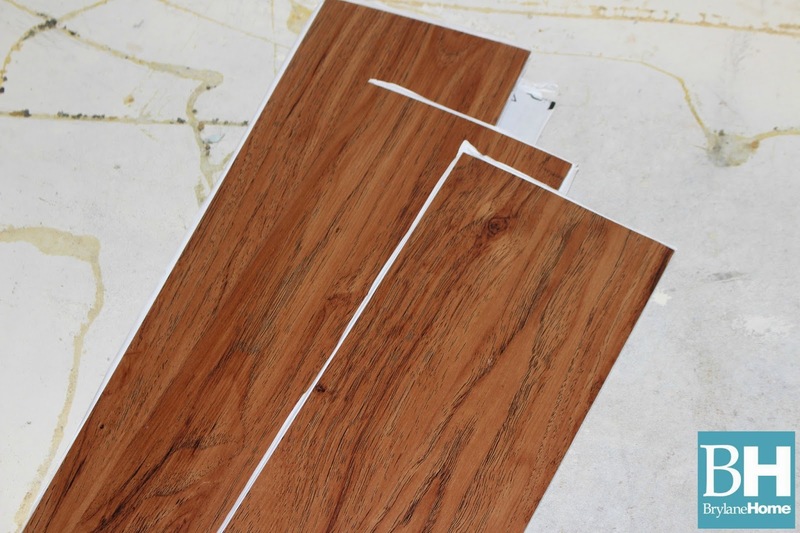 I was so excited to get started putting in my new flooring from Brylane Home, the planks feature peel & stick backs, just peel the paper off, stick down & your done! Instructions are included on the box & this flooring really couldn't be any easier to use, within just a few hours I had my closet completed! I love the new look of my master closet, I am super impressed with my new flooring & I've already been showing off pictures online to my family & friends! 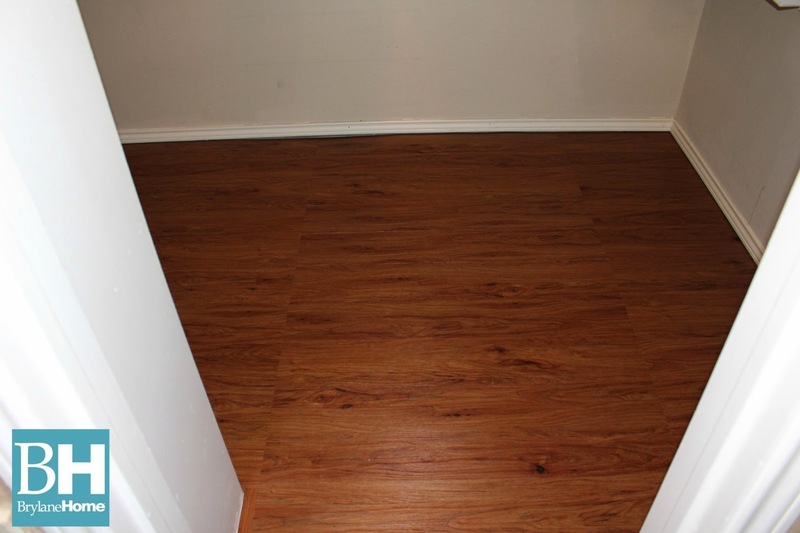 Don't you just love the color of the finished floor? I still can't believe I installed it by myself! The Peel-And-Stick Wood-Look Plank Flooring is only $24.99 a box at Brylane Home & you can currently save even more when you purchase 2 or more boxes! What projects are you looking to tackle this Spring? Be sure to shop online at Brylane Home & stay connected with them on Facebook & Twitter! Are you kidding?!! You did a great job!! I am impressed. I want to change a floor in my house, and you gave me the guts to try and do it. I like the real look of wood on this floor. That is AWESOME. I've never heard of such a thing! Very cool.